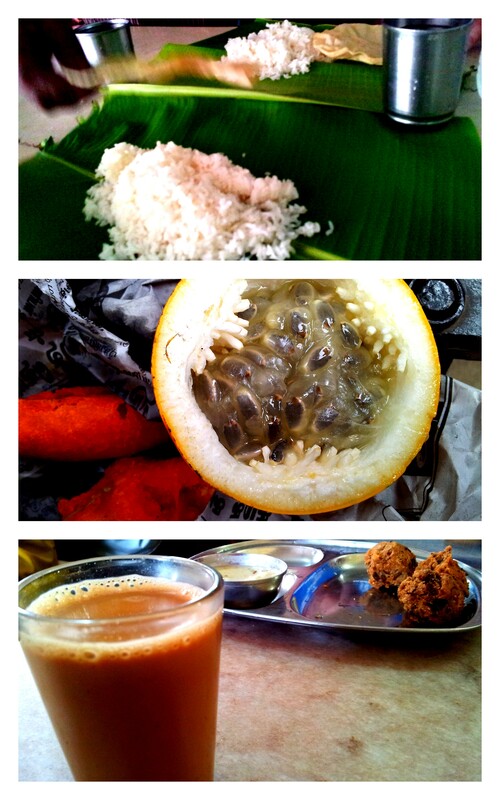 taste.trek.introspect. from what i eat & where i travel to who i meet and how many times i embarrass myself. this is my pursuit of foreign adventure. I never expected to be riding around India on the back of a motorcycle. Little wonder that the bike became an intrinsic part of my India experience. Let me introduce you to the Royal Enfield Bullet 500. November 8, 2012 – We land in Bangalore. The rental agency arranged a pick-up in Bangalore and drop-off in Cochin to accommodate the start and end of our journey. So we jump into a cab, but at it pulled up to a gated apartment block, it didn’t look like a bike rental shop. Maybe it was a mixed commercial-residential property? We approached the gates and security confirmed we had arrived at the correct address. When we reached the unit, we were greeted by an elderly woman who spoke no English. Ummm… Security? The guard assisted with translation and retrieved the keys. Turns out the bike rental agency had a friend or family member hold the bike. The rental office was in Cochin (our final stop), so they had someone ride the bike into Bangalore for us to pick-up. Kick. Start. Go? No. The bike wouldn’t start! Not to worry, the third try was the charm and we were off! Bangalore is India’s tech hub. It’s a big city where cars, bikes and trucks seemed to be coming and going from every direction. 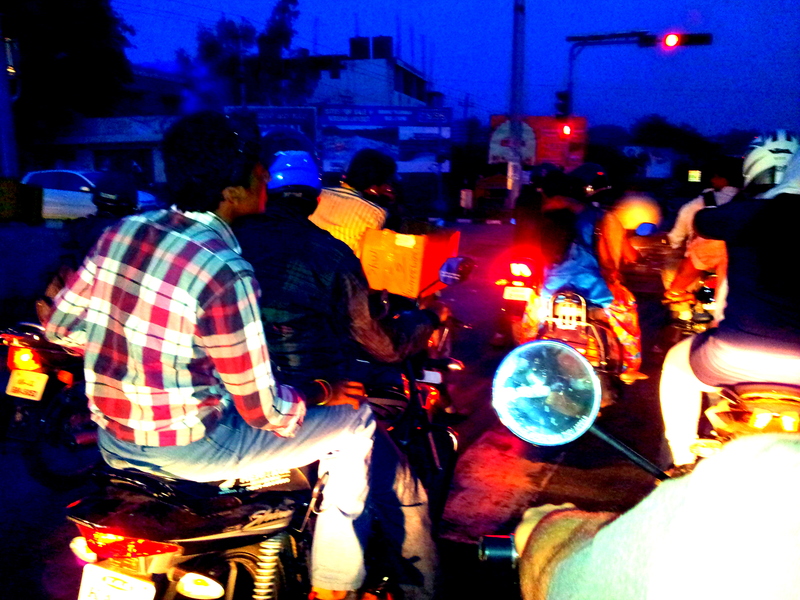 The scene was chaotic and the sounds were loud as we hit the road. 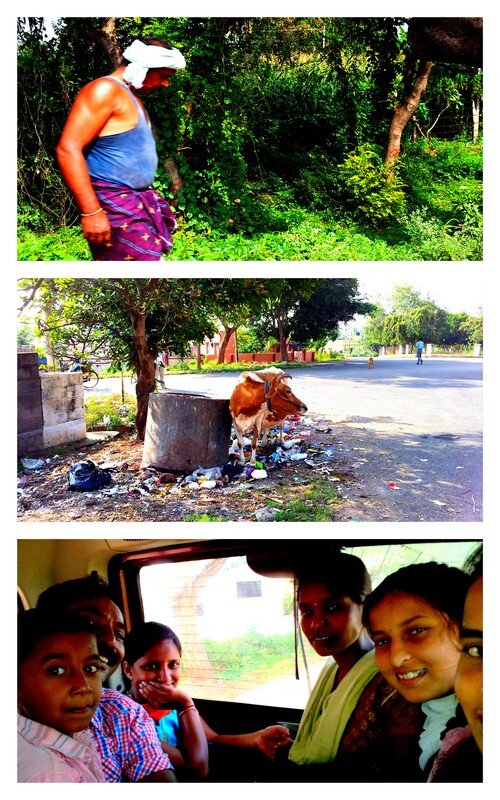 Horns were honked in a musical tempo and I soon learned that in India, you don’t honk because something is wrong. You honk to alert people of your presence. Strangely, it quickly made sense. The “stop and go” traffic made me feel like I was going to slip off the sleek leather seat. Where was my seatbelt? Remember, I had only been on motorcycle once before. About an hour out of the city centre and onto the ring road, it didn’t take long for the bike to sputter. We spotted a garage and pulled over. Were we out of gas? The gas gauge showed that the tank was full. While the mechanics tinkered with the bike, I spent the next few hours hanging out with the people around the shop. That was my first taste of Bullet celebrity. Most Indians adore the Bullet, so it gets attention. People asked us where we were from, practised their English and even shared snacks. Finally, the fuel gauge was deemed broken and a quick refuel had us back in action. We thanked the shop repeatedly and even though they refused to charge us for their time and service, but we forced a settlement. Everyone wished us well on our journey and again, we were off! Hours behind schedule, we began to worry. Dark roads in India can’t be a good thing. When you have roads populated by Ox carts, pedestrians, cows, cars with broken tail-lights, motorcycles with 3 passengers and swiftly moving mack trucks, you realise the importance of visibility. And if that wasn’t stressful enough, I was now hanging on for dear life with one arm and navigating google maps with the other. When we finally rode into the hotel car park, my body ached with surprise when I cracked it back into upright position. At check-in, I was shocked by my reflection in the hotel lobby mirror. 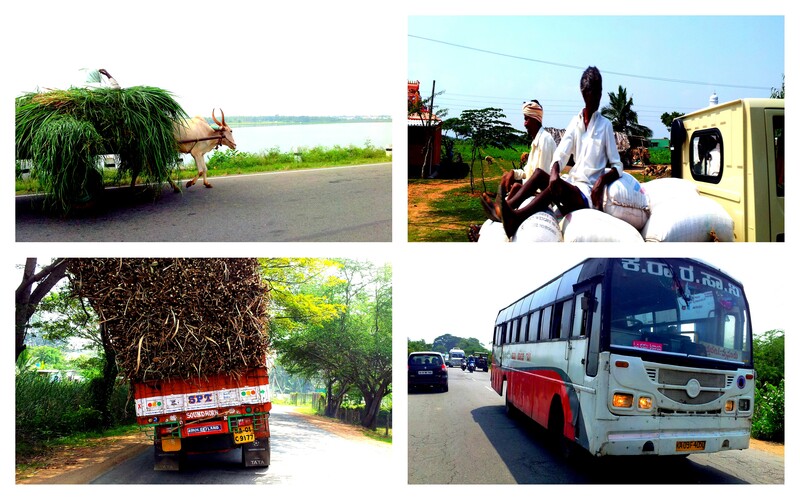 The fumes, exhaust and dirt from India’s vehicles had taken residence on my face. Day one had left me looking like a minstrel. 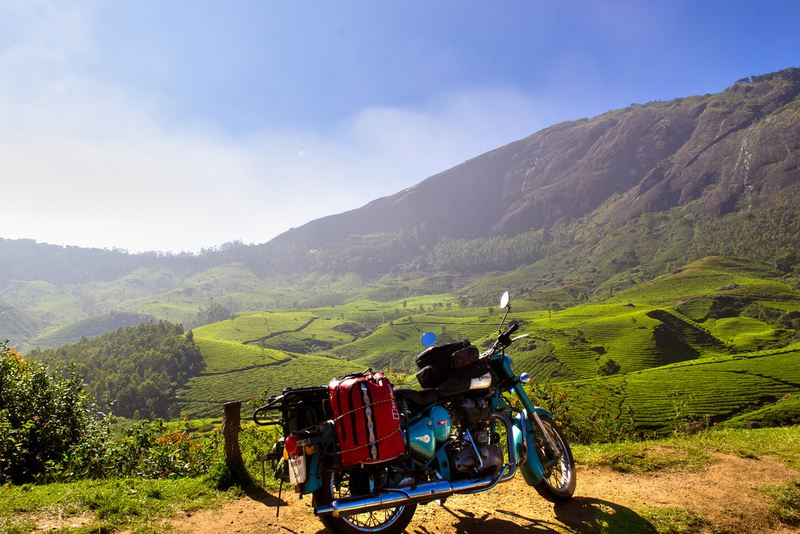 Riding through the stunning tea plantations of Munnar was jaw-dropping. So what better a place to have the bike fall apart, right? When trying to change gears, my partner extended his foot and hit air. Where’s the freaking gear leaver? We backtrack and find it lying on the road. Slippery little suckers. So we pull to the side of the road for a little TLC and we’re quickly back on course. Can anything else go wrong? Absolutely. 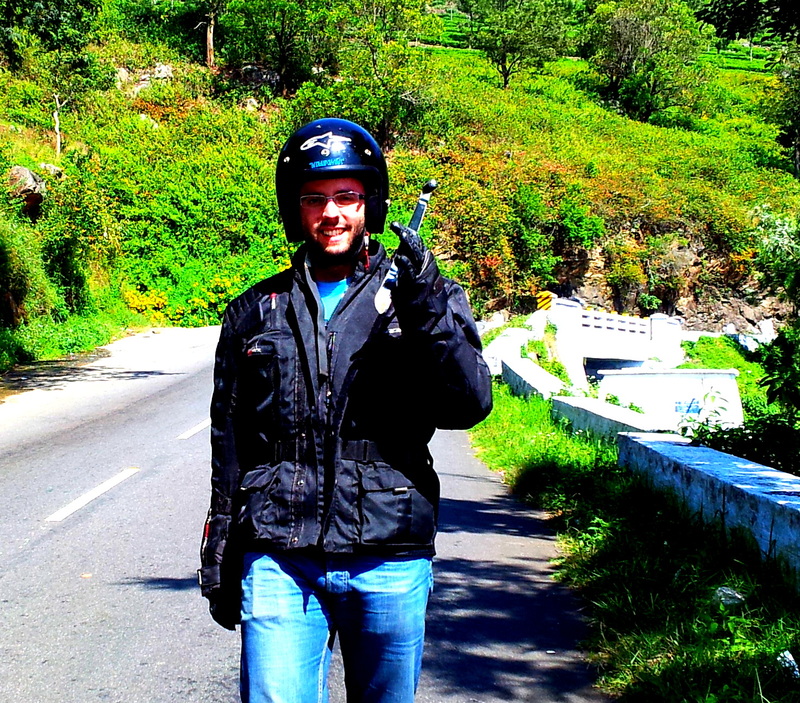 One chilly morning in the hill station of Kodaikanal, we woke up to find the bike’s battery cover missing. Roads are bumpy and sometimes you lose a few good bits. As any qualified Enfield mechanic will attest, a role of gaffa tape is necessary for any long journey on a Bullet. So we secured the battery to the bike with gaffa tape and off we go! By the end of our trip, did I hate the Royal Enfield Bullet? The Bullet became our troublesome travel companion. Like a drunken friend making a mess, the Bullet sputtered about and fell apart every other day. Annoying as it was, the Bullet was one of us. 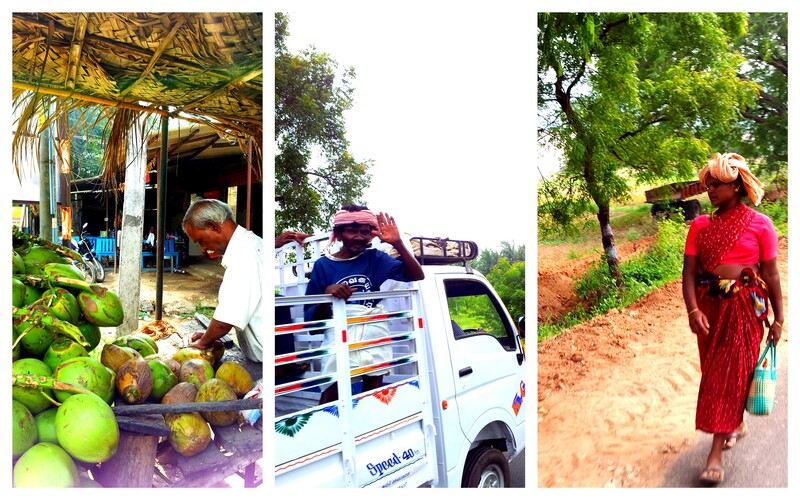 It allowed us to ride in the open air, snap photos, stop for chai and chat with locals. I came to love the Bullet. And boy, did India ever love the Bullet. Everywhere we went, people wanted to talk to us because we had a Bullet! Thanks to the bullet we met so many wonderful people. Being on the bike gave us the street cred that made us one with the locals. And experiencing a country like a local is not easy. For a few short trips, I even rode pillion with flip flops, no helmet and sitting side saddle. I had completely gone native with the Bullet! Enter your email address to follow my blog and receive notifications of new posts. Big fun!